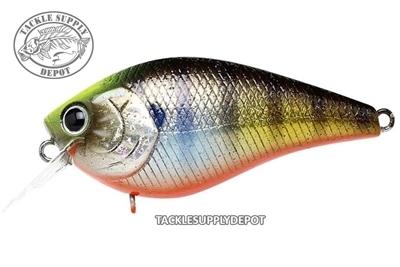 Silent but deadly, the LC 1.5 Squarebill Crankbait is ideal for fishing shallow cover, stumps and flats. Tournament caliber performance, realistic paint jobs and high quality components give this little offering the tools for big results out on the water. The LC Series is the first high quality plastic square bill crank bait ever made. Over the last several years, the LC Series crankbait has replaced balsa wood crankbaits in tackle boxes for cover fisherman everywhere. The LC Series is a high floating plastic crankbait that is much more durable than its predecessor wooden crankbaits. This series reigns supreme in heavy hard rocky bottom areas where large bass lurk.